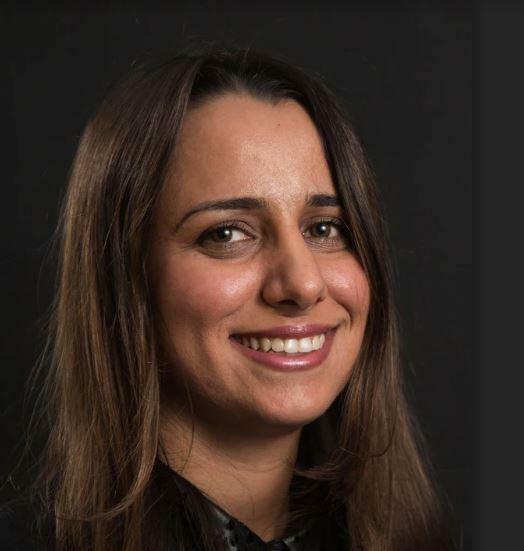 University of Houston electrical engineer Rose T. Faghih has been awarded $175,000 by the National Science Foundation to examine whether wrist-worn wearable devices, like Fit Bits or Apple Watches, can be used to peer into the brain. She thinks they can. "Decoding brain states using wrist-worn wearables will transform how mental-stress-related diseases are diagnosed and treated," said Faghih. Currently to track brain function, patients undergo electroencephalogram (EEG) testing, in which electrodes are attached to the scalp or a cap to measure brain activity. The convenience of measuring the brain on a smart watch improves the monitoring protocol immeasurably, said Faghih. "Instead of getting information directly from the brain we can use skin conductance data collected by a smart watch," she said. Unlike other wearable technology on the market that tracks heart rate as an indicator of stress, Faghih proposes to measure cognitive brain states related to stress by taking stock of skin, examining skin conductance data for arousal and cortisol data for fatigue. Arousal, in this sense, refers to activation and is a major component of an emotional response. "With our measurement of cortisol we could see that a patient is at risk of developing chronic fatigue syndrome before it occurs, for example. This way instead of waiting to go see the doctor, the patient would have information that they need to be seen sooner," said Faghih. In familiar scenes played out wherever people exist, intimidating moments occur – perhaps when your boss calls you into his office, or a principal tells you to come talk about your child – stressful scenarios that trigger your skin to develop the tiniest sheen of perspiration. That symptom of the body's fight or flight response signals a change in the skin's electrical conductivity and provides a window into the brain's state of emotional arousal. Faghih is developing the signal processing algorithms, or infrastructure, for a wearable device that would recognize the skin's reaction and interpret it. "I'm building a navigation system for the brain. We can collect data from smart watches seamlessly to understand activity in the brain with wearable machine-interface (WMI) architectures related to mental stress and their potential applications for tracking fatigue and arousal states," said Faghih. Faghih says the technology would not necessarily have to indicate medication as a solution but could add simpler measures, like relaxation techniques, into the mix. "For example if the data indicates they need to relax, maybe their phone could begin to play relaxing music or the phone automatically calls a loved one for support," said Faghih.